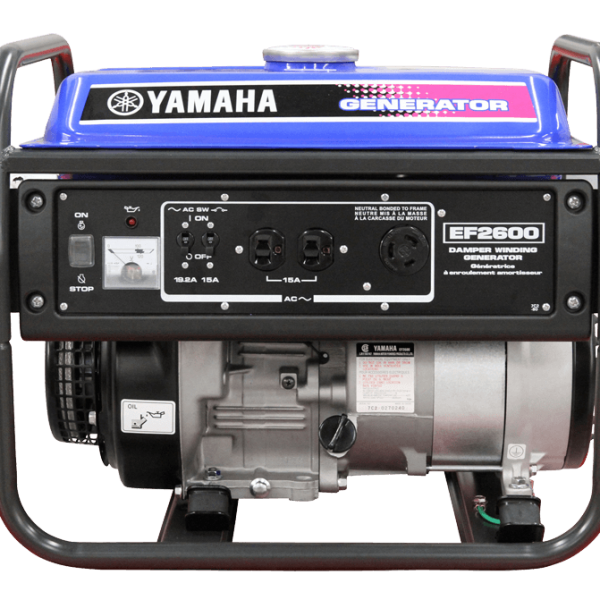 Rugged yet lightweight, the EF2600 features a “Damper Winding” alternator which produces a cleaner sine wave than most conventional generators. 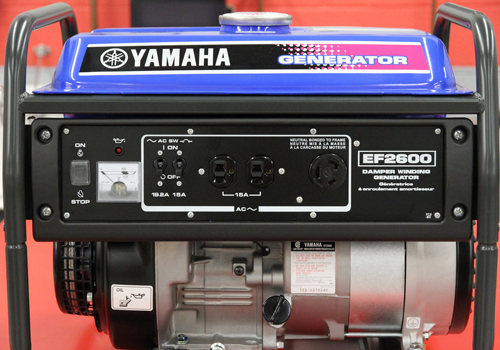 The EF2600 offers excellent value and Yamaha’s unquestioned reliability. 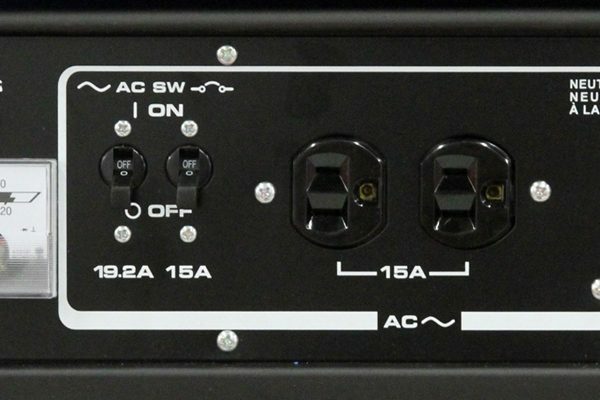 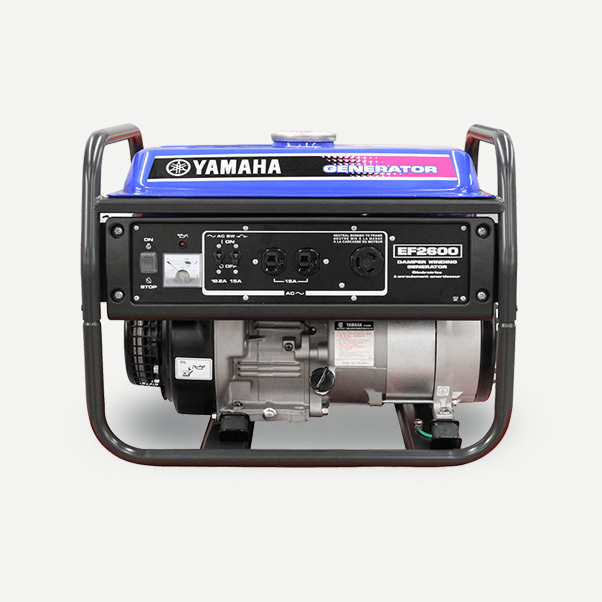 Weighing in at only 43 kg (93 lb) the EF2600 offers clean, quiet power for under $1,000. Improved efficiency, increased reliability and quieter operation. 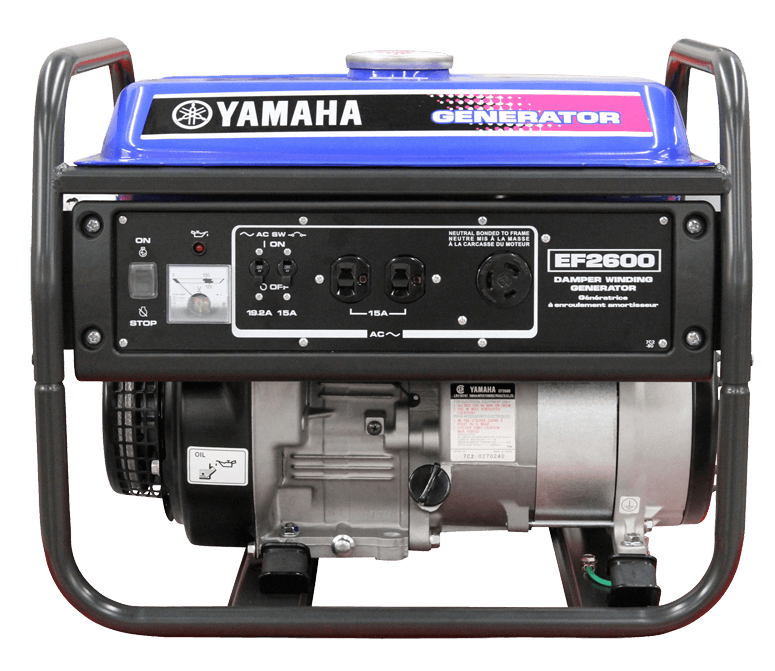 Powered by Yamaha’s MZ175; 171cc, air-cooled (fan assist), OHV, 2-valve, 4-stroke, single cylinder engine with electronic transistor controlled (TC) ignition.